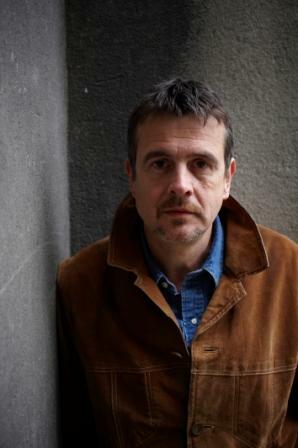 Mark Billingham is one of the UK's most acclaimed and popular crime writers. A former actor, television writer and stand-up comedian, his series of novels featuring D.I. Tom Thorne has twice won him the Crime Novel Of The Year Award as well as the Sherlock Award for Best British Detective and been nominated for seven CWA Daggers. His standalone thriller IN THE DARK was chosen as one of the twelve best books of the year by the Times and his debut novel, SLEEPYHEAD was chosen by the Sunday Times as one of the 100 books that had shaped the decade. Each of his novels has been a Sunday Times Top Ten bestseller. It’s about three British couples who meet while on holiday in Florida. As can often be the case with these things, they make friends quickly and decide to stay in touch when they get back to the UK. Of course, this proves to be a big mistake. Their holiday ends on a somewhat sinister note when the child of a fellow holidaymaker goes missing. When the girl’s body is discovered, the three couples come under the scrutiny of a young trainee detective in the UK and through a series of tense and increasingly dark dinner parties, we discover that they each have something to hide and that one of these six has a secret even darker than anyone can imagine. Yes, it was hell! Actually I’ve been spending a lot of time on the Gulf coast in the last few years which is why I decided to set portions of the book there. In so many ways it’s paradise, which makes it the perfect setting for a dark and twisted thriller. Hopefully you didn’t need to spend much time hanging round Crawley to get a feel for Angie & Barry’s home, although you did manage to drop in the Cobham Services – quite impressive as I think they’ve only just opened! You must know London like the back of your hand now. Do you think you could pass the taxi driver test ‘The Knowledge’? I’m not sure about that, but I try and make sure I’m familiar with the places I write about. I try to ‘reccy’ locations in the same way a film director does, to get a feel for the sights, sounds and smells of a place. These days, it’s easy enough to find out about somewhere via the internet, but you can’t beat going to these places yourself. But yeah, I think I know London pretty well. I've heard authors who write long running series say that writing a standalone is a break from the 'routine'. This is your second. Was it a merely a break from the routine that drove you to write it? Where did the idea come from? If you want to keep a series fresh you need to step away every so often. It’s what a writer like Michael Connelly does so brilliantly and I try to learn from the best. I’d written three Thorne novels on the trot and it felt like the right time to do something different. It’s not different just because it’s not a Thorne novel though. I think it has a very different feel. In many ways it’s a locked room mystery, unfolding in three parts. It’s also very much an ensemble piece, whichI enjoyed. The idea for the book has been rattling around in my head for a few years. It came from something that happened to a couple I know who befriended another couple on holiday. That ended rather badly and what crime writers do is take these nuggets – things that they are told or that they read about – and push the idea into even darker territory. I don't think you've written another book with so many point-of-view characters. How much of a challenge was it to come up with them all and keep them all so distinct? It was hugely enjoyable, actually. The actor in me has always relished getting inside the head of a character and to do that with six such different people was great fun. There’s nothing wrong with a challenge, though. I think every writer has a duty to challenge themselves and to step outside their comfort zone. When you don’t, that’s when the writing becomes formulaic and predictable. There may be readers who are uncomfortable with what you’re doing, but that’s a price worth paying. Without dropping any major spoilers, what made you want to write about this particular type of killer? I’m fascinated by the idea that we only know as much about people as they want us to know. Some people are immensely skilled at presenting a public face when their real character is actually worlds away. It’s what sociopaths are good at and they are endlessly interesting to write about. They are also the perfect characters when it comes to trying to construct a credible and gripping mystery. How can you unmask a killer when everyone is lying? It’s possible, I suppose. I did not immediately think that I would write about Helen Weeks again, but a few years after she first appeared in IN THE DARK, she popped up again. So yes, I might well suddenly find myself writing about one or more of the characters in RUSH OF BLOOD again. I’ve always enjoyed melding fictional worlds together so that a minor character in one novel can become a major player in another, and vice versa. In fact, Jenny Quinlan, who appears for the first time in RUSH OF BLOOD, has a part to play in the next Thorne novel. Fans of Thorne will be intrigued by his walk on part towards the end. He also featured in your first standalone 'In the dark'. Do you find it impossible to leave the man alone? Or is it just because you miss him when he's not around? It’s not so much that I miss him, but I enjoy giving him a cameo role on the standalones. It’s a way for readers to find out what’s happened to him since the end of the previous novel. The cameo will always reveal something important. In IN THE DARK, his brief appearance told the reader that he was about to become a father. When he appears towards the end of RUSH OF BLOOD, readers will know what’s happened to him since the end of GOOD AS DEAD. The ramifications of that will be dealt with in Thorne’s next full-length outing. I’ve heard that the next series of Thorne is currently being filmed. Can you confirm when we might see it on our screens? Well you’ve heard wrong, I’m afraid. There are no plans to film any more at the moment. David Morrissey is busy in the US filming the next series of “The Walking Dead” which will tie him up for a long while yet. We remain keen to do some more though, so we’ll see. Meanwhile, both IN THE DARK and RUSH OF BLOOD are being developed by the BBC, so hopefully those characters will be coming to the small screen some time soon. I’ll be sacking my internet sources regarding Thorne, but that’s good to hear about the other two adaptations – we need more good British drama on TV. Apparently you always hoped that David Morrissey would play Thorne and he was equally intrigued by the possibility of playing him. Did you both make the right choice? Has seeing Thorne on screen altered how you write about him? What about the other characters, notably Brigstocke who has become a woman in the screen version? This must have been a bit of a shock for the character’s namesake – comedian Marcus Brigstocke? That could be a great story line though! So what's next for Thorne? Have you written the next one in the series or is this something you're still working on? I’ve just about finished the next Thorne novel, which will be out this time next year. As I said, he’ll be dealing with what’s happened to him since the end of GOOD AS DEAD, when he was at something of a crossroads career-wise. The book does have a title, but I’m loathe to reveal it just yet as these things often change. I’m thrilled to have got it written though, as I can throw myself into promotion for RUSH OF BLOOD knowing that the next book’s done. I can hopefully relax a bit, although I know that in a month or two I’m going to have to start thinking about the next one. Hopefully your relaxation time might coincide with our eventual summer this year! So, what's your favourite of your own books? That’s a very tricky one. I suppose the glib answer would be ‘the latest one’, but it’s true up to a point. You’d like to think that you’re getting better as a writer with every book and so the one you’re most excited about is always the one you’ve just written. Of the others, I’m very fond of IN THE DARK and as far as the Thorne novels go, my favourites are probably LIFELESS and BLOODLINE. SLEEPYHEAD will always have a very special place in my heart though, as it was the first. Your literary baby, I suppose… Talking of which, there seem to be more and more new crime authors arriving on the scene every year. Assuming you still find the time to read now and again, which new authors are you particularly excited about? Belinda Bauer isn’t new anymore, but her latest, RUBBERNECKER - which I’ve just finished in proof - is terrific. Any writer that keeps getting better is going to be one to watch. The same is true of Gillian Flynn who’s only written three novels but is clearly one of the best writers out there. I’m glad you mentioned Belinda Bauer – I’m a big fan of hers (and I’m just about to read RUBBERNECKER myself). I’ve also heard great things about Gillian Flynn – GONE GIRL is most definitely on my ‘to read’ list. So, finally, what question does no one ever ask you, that you would you really, really like to be asked? Er… who would you most like to meet? And who might that be then?! Well, I only said that so I could brag shamelessly about finally getting to meet Elvis Costello who’s been my idol for thirty-five years more or less. I met him after his shows at the Royal Albert Hall a few months ago and was a hopeless, helpless fanboy. Wow – that was definitely worth a mention! Thanks for talking to me Mark, best of luck with RUSH OF BLOOD – I’m sure it’s going to be this summer’s hit! Thanks, and I hope you’re right. My kids are getting through shoes like nobody’s business.